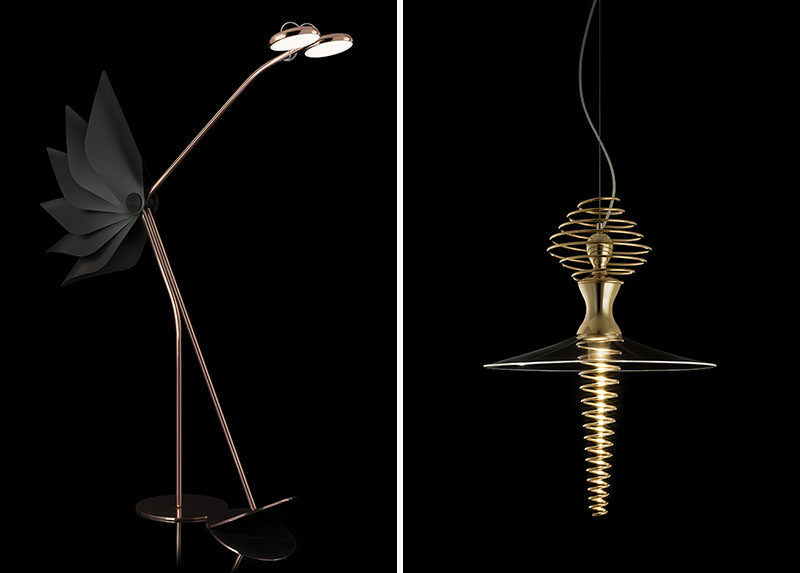 Spanish product designer Sergi Ventura, has created two fun and unique lighting designs named Dorking and Mia Ballerina. Dorking is a playful bird-like floor lamp that has a tail that opens or closes depending on whether or not its eyes are in a lowered or raised position. The lamp is made from copper and aluminum with a articulated tail made from plastic. The Mia Ballerina pendant lamp was inspired by the shape of a ballerina when she spins. Sergi mentions ‘I have captured her traces while she is rotating to convert them into a sleek, light, and with a movement sensation design.’ Each spiral and the body is hand-polished and plated with 24-karat gold, while the skirt is made from a transparent acrylic.